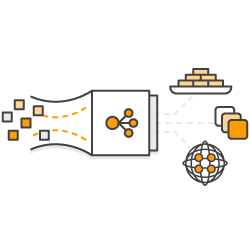 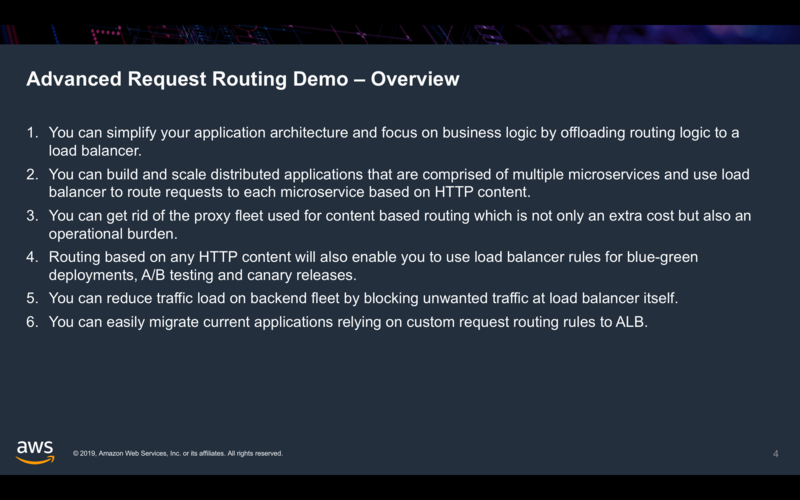 Application Load Balancer now supports request routing based on HTTP headers, HTTP methods, HTTP query parameters and source IP CIDRs . 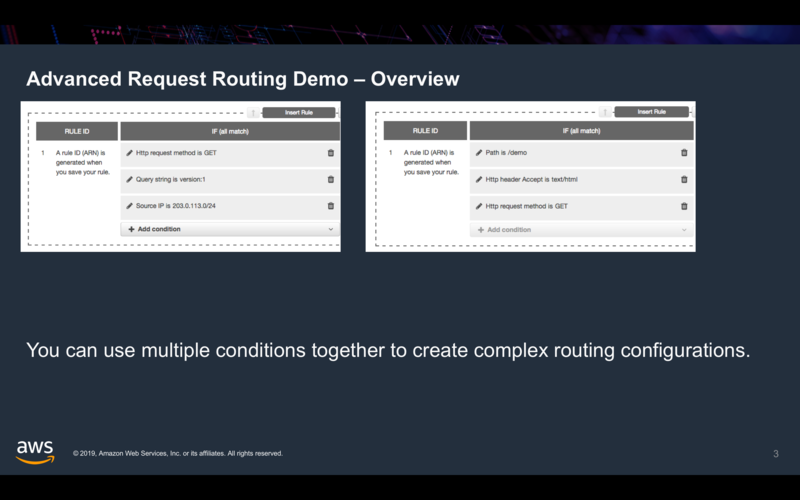 With this launch, customers get a richer set of routing criteria in addition to the host header and path based routing that existed prior to this launch. 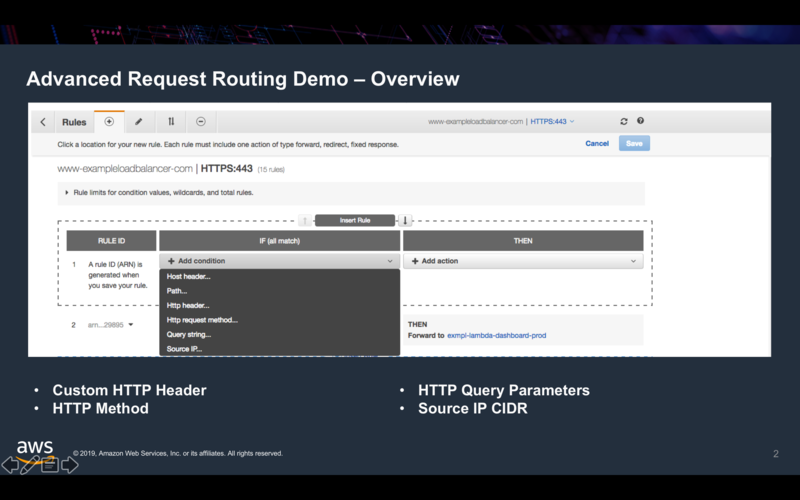 The ability to route based on any field in an HTTP request provides utmost flexibility in segmenting HTTP request traffic to control the processing environment for each category of request.